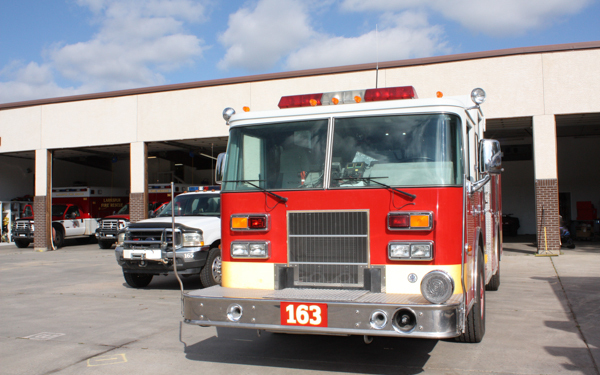 Fire Station 163 is located on Noe Road, this station is not in use at this time. 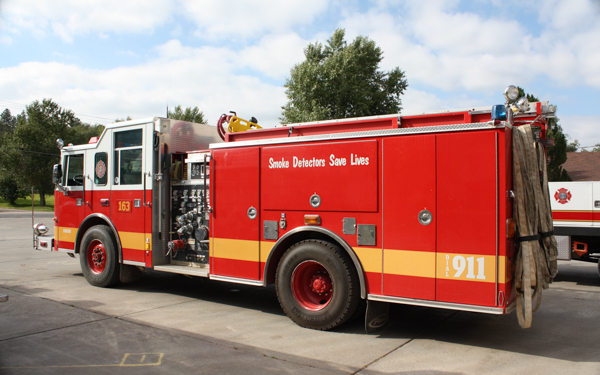 1998 Pierce Saber 750 gallon tank, former Woodmoor-Monument Fire Protection District Engine 2112. 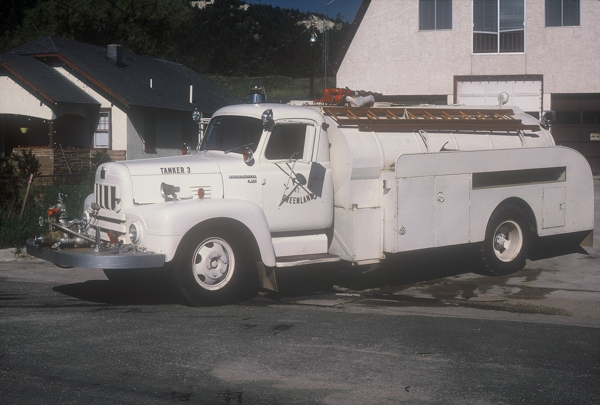 1957 International (R1856) 1500 gallon water tank / 500 gpm pump (Pumper-Tanker) with front-mount pump, former Prospect Valley Fire Department Engine No. 3 and Wheat Ridge Fire Protection District Tanker 12.